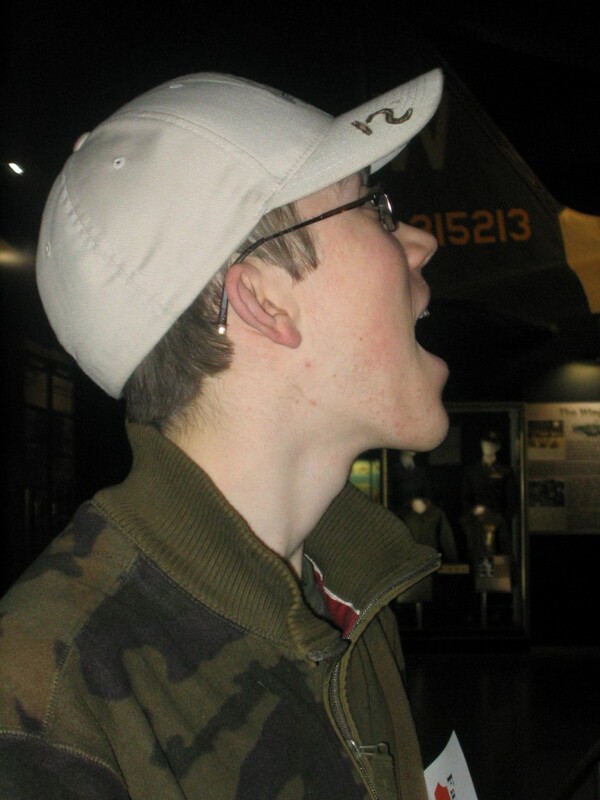 In 2010, my family took a spring break road trip that culminated in Dayton, OH, home of the National Museum of the United States Air Force. The visit was somewhat spoiled when the Fatherly One and my brother got sick and had to spend all day in the hotel, but Sister Bean and I were able to spend the whole day at the museum.1 This was a while ago, and there have been some changes since then, most notably moving the R&D/Presidential Gallery from being on-base to a new hangar at the museum proper, but the place was so amazing I have to plug it here. Dayton has basically every plane ever flown by the US Air Force or its predecessor, the Army Air Force, as well as a fair number that were captured or otherwise fell into their hands. It's the largest military aviation museum on the planet, and there's a lot of stuff in their collection that you can't find in many other places. 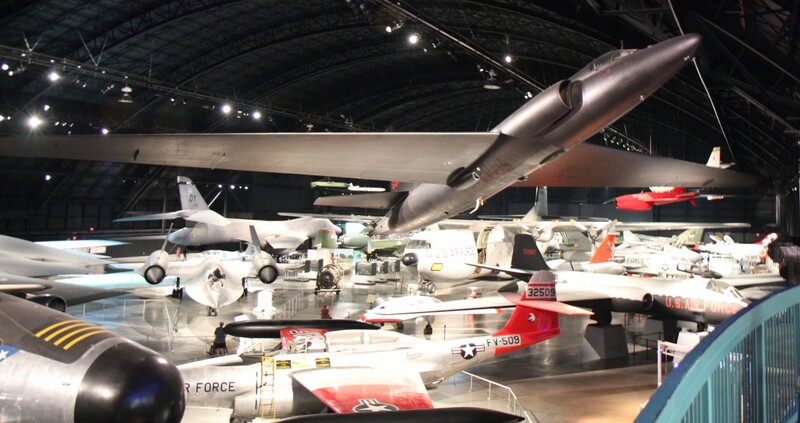 Highlights include the only surviving XB-70 Valkyrie, a B-36 Peacemaker3 and Bockscar, the airplane that dropped the atomic bomb on Nagasaki. There are fighters, including everything from the rare and very interesting F-82 Twin Mustang to the F-22 Raptor, as well as transports, trainers, and even oddities like a bunch of old presidential aircraft, including the first Air Force One. The R&D gallery is particularly cool, as Dayton essentially got everything tested at Edwards that the Smithsonian didn't want or have space for. Sister Bean reported that during our visit, the drool on the floor of the old R&D hangar was 6" deep. Seriously, if you're at all interested in military aviation, just go. I've never seen another military museum that was more deeply impressive. It's been too long to comment on things like the signage, a point I intend to rectify, but the sheer scale of the collection overwhelms everything. Go! It has been a few years, but I am thinking one could also stand under the fuselage of the B-36. Was that your impression? Those two alone are almost worth the visit! I think you could get under the B-36's fuselage when we were there. It would have been hard to lay out the Cold War gallery so you couldn't get under the wings. You could definitely go under the XB-70, but that may have changed in the new hangar. The old R&D gallery was really cool because there were no ropes, but it was also rather cramped and not that easy to get to. The collection is unbelievably impressive. There are four hangar-like spaces, big enough to house huge aircraft like the B-52, indoors. There's no way to see everything in a day. Give yourself at least two. You could probably spend four if you wanted to read every single placard and view every last exhibit. It's just a pity they didn't put it in a more accessible location. Dayton, OH is not that big a place. They'd get a lot more visitors if the museum was in the Chicago area, say. We managed to see everything in a day, and I didn't leave feeling like I'd missed much, but that may just be me. I know a lot about US military aircraft, and so in most cases it was "Oh, look, an X." Interesting fact about X for Sister Bean. "Now this is a Y." If your interest and information levels diverge more, it's probably going to take more time. As for location, I sort of like it in Dayton. It's a pilgrimage, not just something you do when you happen to be in the area. And Wright-Patt is one of the oldest and most important bases in the Air Force. The alternative is probably somewhere near DC, and I'm glad it isn't there. I spent one day and made it through the whole museum, but I felt a bit dazed and footsore by the end of the second building.